August felt more like September and the first few days of September forced many to rummage through the closet for a jacket. Still, it appears we’ve been given an excellent window for harvest aids over the next 10 days; the temperatures in the forecast bring all products back to the table. Regrowth is bound to be an issue, especially in areas where the plants have naturally shed most of their leaves. With an increase in temperatures and a flush of rain, expect to release new-growth. The best way to combat this with nighttime temperatures above 65(ish) degrees is thidiazuron (Daze, Freefall, etc). I would encourage you to consider an approach with a minimum of 2 oz of one of the thidiazuron products. Add tribufos (Folex) and boll opener as needed. It is old news that heat unit accumulation for the year is off, but you might expect uppermost harvestable bolls even in the earliest planted cotton planted to be very immature (very easy to cut, jelly within the seed, no seed coat color). Granted, most of our acreage still has some time before it will be ready for harvest aids- but for those who have been slicing bolls, the results have been quite surprising. In a blog I posted on August 22nd covering heat unit accumulation in 2017 I mentioned that heat units often fail to capture progress made on clear days. This year is a great example of the potential pitfalls of a strict DD60 approach to crop management. While temperatures in excess of 85 degrees definitely help us quickly mature a crop, a tremendous amount of progress is also made under clear conditions at 75 degrees. The majority of the uppermost harvestable bolls I’ve sliced over the past week are much closer to mature than DD60s indicate. Long-in-short: slice the uppermost harvestable boll as a timing check. I think this approach is extremely important during 2017. A mature boll will be difficult to cut with a sharp knife, will have no jelly within the seed, and will have seed-coat color. 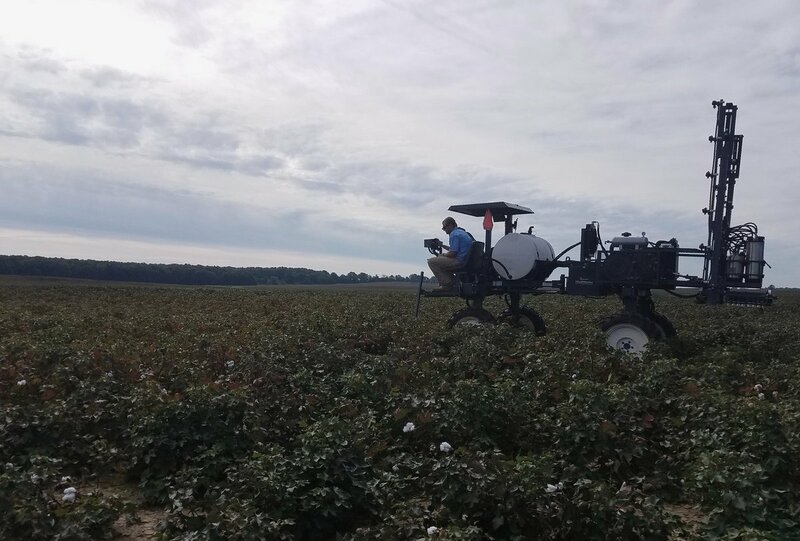 On September 11th my crew sprayed a defoliation trial in Haywood and Gibson Counties. Treatments are listed here. Treatment A has been applied. The second shot (application B) will be applied roughly 7-10 days after the initial application date (9/11). 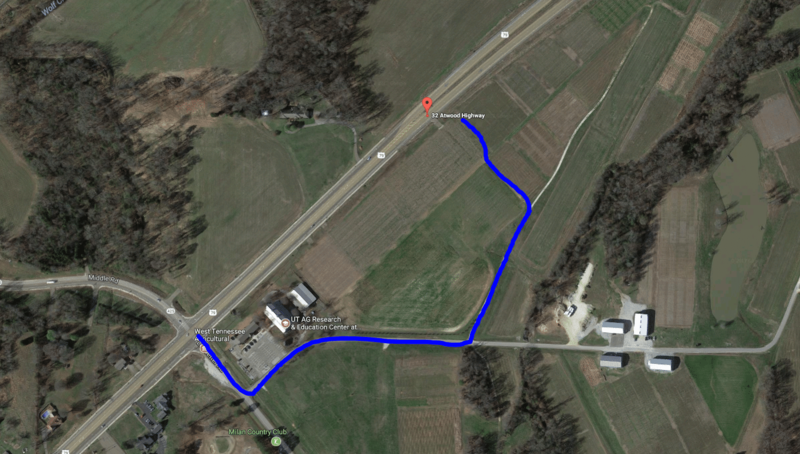 The Haywood County trial is located at the following pin: Google Maps . For those unable to use the pin, the Haywood County trial is on the east side Winfield Lane approximately 0.8 miles south of Tibbs Rd. 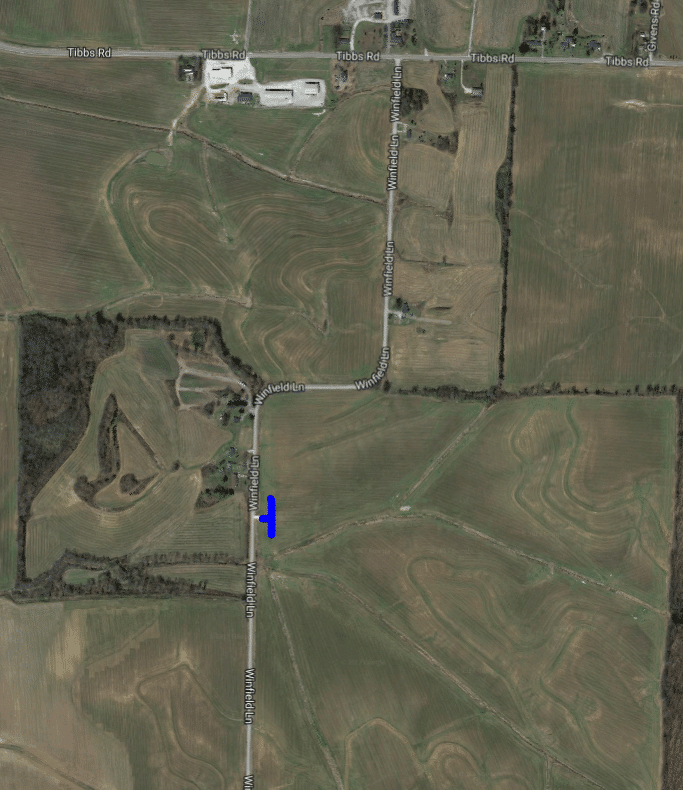 The Gibson County Trial is located on the south side of Atwood Hwy (70A) 800 yards northeast of the Museum on the Milan Research and Education Center Google Maps. To access the field, follow the route below. I’ll be posting more information as conditions change over the coming weeks.